In this very interesting article JJ tells Michael Menduno who should use rebreathers in scuba diving and why. I´m not DIR, but I know JJ and second his opinion concerning rebreathers! In the current issue of DIVER Magazine (Volume 37 Number 1), I spoke with Jarrod Jablonski, the 42-year old explorer, educator and entrepreneur about his aquatic conservation membership organization, Global Underwater Explorers. GUE’sunique diver training program and operational standards have given rise to an enviable safety record and an impressive list of underwater discoveries by group members. 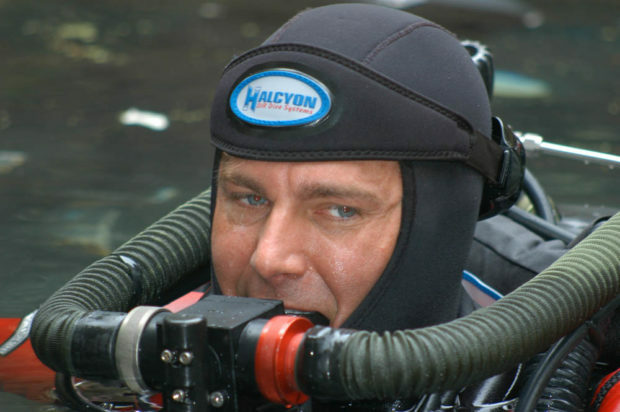 Jablonski is the Chief Executive Officer of GUE and for gear manufacturer Halcyon Dive Systems and scuba retailer, Extreme Exposure Inc. He holds numerous records for the longest cave penetration, and the longest dives. In this exclusive follow-up interview for divermag.com, I spoke more with Jablonski about the marketing of rebreathers to the technical and recreational diving communities. I find it interesting that the GUE leadership and explorers are using the Halcyon RB80 semi-closed rebreather for exploration, but unlike most agencies, it seems like you are not actively promoting or marketing the rebreather or your training. 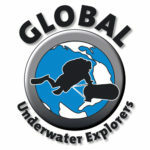 In fact, looking at the GUE website or talking to people in the local organization here in Northern California you have to do some digging to realize that GUE even offers rebreather training, though you only offer it to individuals who are already very accomplished open-circuit technical divers. I would say the pursuit of profit represents the primary motivator driving the promotion of rebreathers. Rebreather manufacturers and training agencies are looking to boost their revenues. This is somewhat understandable but I don’t feel like that’s our job at GUE. Our job is to safeguard the quality of education and the safety of the divers who entrust their lives to us as an organization. That’s really our only responsibility. That doesn’t mean I think rebreathers can’t be used safely. It just means that we take a really cautious approach to things that create greater risk; such risks must be balanced by meaningful benefit. Unfortunately the benefit is often lacking while using rebreathers for recreational purposes. Jablonski’s company manufactures Halcyon rebreathers. We talked about the concept of adding risk with little orno benefit—what you called “pointless risk”in the DIVERMagazine interview with regard to GUE’s ‘Doing It Right’ (DIR) standards. You said that’s the reason GUE doesn’t advocate the use of nitrox or air beyond 100 feet (30m), for example. The logic is the same. If I’m average Joe Scuba Diver and most of my diving is in 50 feet (15m) of water and I go diving 10 times a year, what the hell do I need a rebreather for? I don’t and it’s just a huge expenditure that may significantly increase my risk. This is particularly true for someone who is barely active enough to remain proficient on general scuba gear. In my opinion, rebreathers are much more dangerous for that class of diver. In fact, I believe that by and large the overwhelming numbers of people don’t really have any use for rebreathers. This is even true for many of my own dives. I own four rebreathers, but when I go down to Ginnie Springs to do an hour dive I rarely take my rebreather. Why? I don’t need it. It’s of no value to me on that dive. So that creates a really interesting psychological question. What is the efficacy of using something that doesn’t really add value but does add additional risk? At the OZTek conference in May, Dr. Andrew Fock, head of hyperbaric medicine at the Alfred Hospital in Melbourne, Australia, said that his best estimate, from all existing data, is that rebreathers are 10 times as risky as open circuit scuba in terms of fatalities. In other words you are 10 times more likely to die on a rebreather than on open circuit scuba. Yeah, and so think about that and how you would feel if your best friend or your wife was killed in 33 feet (10m) of water using a rebreather. You’d have to ask yourself, “why?” What happened? Does this make sense? Why does a guy with tremendous experience like Wes Skiles (a veteran cave diver, filmmaker and photographer who died during a National Geographic film project in 2010 while diving a rebreather) die in 60 feet(18m) of water? Okay, fair enough it may not have been a rebreather failure, per se. But the fact a very experienced individual gets killed during a trivial dive in a way that would not happen while using open circuit, forces us to ask ourselves, does this make any sense? And unfortunately, Wes isn’t the only one. PADI is now marketing rebreathers to recreational divers. As you know, they hosted a meeting at the annual Diving Equipment & Marketing Association (DEMA) show last year for all the rebreather manufacturers to spec out their requirements for a ‘recreational’ rebreather, the so-called Type R machines, as opposed to units suitable for tech divers, (Type T machines). They are in the process of rolling out their training program for recreational divers. To qualify, divers must have logged 25 dives with 10 of them on nitrox. They also launched rebreather courses for tech divers. The situation seems very different than when PADI entered the tech diving market because back then, in 2000, there was a burgeoning market. Currently, there isn’t a market for recreational rebreathers; PADI is hoping to create one. My guess is that PADI is watching its revenues decline, with fewer certifications and continuing drop out rate, and they’re trying to figure out how to pay for their infrastructure. So they are asking the question, what’s the best growth segment and everybody is telling them its rebreathers. But there’s really not a recreational market? All right, let’s create one. We’ve got enough strength to do it. So with PADI’s marketing muscle, manufacturers are going to create Type R-machines—there is already at least one on the market—and PADI centers and instructors will be there to train recreational divers in their use. Other agencies like the International Association of Nitrox & Technical Divers (IANTD) also offer recreational rebreather courses. But basically PADI is creating this market, developing thousands of students who will be learning on a unit that has very little operational time. That’s problematic in my opinion. I appreciate the fiscal urgencies more than most but that doesn’t justify this sort of risk. What’s more is that they are targeting the bottom of the market. I mean these are the divers that we see putting their regulator on backwards. That’s the market they’re going after. That’s who they think is the customer. I strongly disagree with this strategy and I think it’s going to have negative consequences for the industry. Because they risk leading the innocent to bad outcomes? I have always been a champion of people’s individual rights, even when I think what they are doing is damn fool stupid. But, I strongly believe you have a responsibility to limit the exposure of people who don’t know better. And that applies to organizations as well as individuals. It’s one thing to do something yourself, but it’s another to promote it, because now you’ve taken on a different mantle of responsibility and I take that as a much stronger responsibility. Yes. I think we, as an industry, have to take a hard look at ourselves and say, “Really? That’s what this has come to? We’re going to push this technology on a group of people who are wholly unprepared to manage a rebreather, and we’re going to promote it because we can make money doing it.” You know, that really bothers me and I think it’s unethical. Now I’m hardly against the free market. I run a for-profit manufacturing business and a retail dive store. I believe in making a profit. And I have every reason to promote rebreathers. My company sells a rebreather. But in this case, I see interesting parallels between our recent financial crisis that resulted from pushing mortgage-backed securities and the peddling of recreational rebreathers. Selling something people can’t afford (from a financial or personal risk point of view) or don’t really understand results in nice short term benefit but creates long term unsustainable risks that contaminate the entire industry. People could end up dying instead of just losing their 401Ks. Sadly, yes. The issue is one of appropriateness. There’s a low end of the market and the high end, which we clearly embrace. But I take a strong stance against supplying the casual diver with rebreathers. I am not motivated to discourage capable and experienced divers from making their own decisions. These people have reached a level of experience, knowledge and capacity where they do, or should, know the risks they’re subjecting themselves to. The hardest part for us as an organization is to figure out where that middle is, and that’s really what we’re doing. And we’re moving slowly because of rule number one. GUE’s job is to support the safety of the individual, notboost industry economics. Another reason that it has taken us some time, frankly, is that the rebreather industry is still relatively new. It’s taken more than a decade for rebreathers to start shaping up and I would say the top few rebreather companies are now legitimate, solvent, capable organizations. But even these companies are small and don’t sell more than a few hundred units a year. So it’s not important to us that everyone is racing into rebreathers. What’s important is to carefully and slowly and methodically evaluate where that middle should be. I like to start at the top and work my way down because I think it’s safer to start with explorers and work our way from there. So what specifically are your doing as an organization? I have brought up the issue of rebreathers at our bi-annual training council meeting in each of the last three or four years. I have taken the pulse of the council, asked everybody what they’re seeing, what they’re hearing, what they feel, what requests they’re getting and we have discussed the issue. I also authorized the training council to start diving closed circuit rebreathers (CCRs). In fact, I have encouraged it. I said, look we’re trying to make decisions about the organization and what we need to do. So our job is to develop an internal experience base and use it to determine how far down the line we want to go. So we’ve all been doing that. When you say CCR, you mean closed circuit rebreathers instead of the semi-closed rebreather that GUE explorers have been using? Correct. All of our top people have already been using the Halcyon semi-closed system. But realistically semi-closed as it exists now isn’t really an appropriate tool for recreational diving because of the inherent oxygen drop in the system. Only a very experienced technical person should use it in shallower water. I wouldn’t put anyone who’s really recreationally inclined in 30 feet (9m) on a semi-closed rebreather. It just doesn’t make sense. Briefly explain what you mean by oxygen drop? Yes. A semi-closed system vents gas from the breathing loop. So for example with our unit, we have a ten-to-one ratio, so roughly 10 percent of that gas in blown off every breathing cycle and fresh gas is added. So the diver rebreathes some of the gas in the loop, and as a result, there is an oxygen drop from what’s in your gas supply to what the diver actually breathes from the loop and the amount of that drop is greater, the shallower you are. This decline occurs over time and relates to breathing rate, gas vented from the loop and depth, but as a rough example you might see a 10 point or greater oxygen drop in shallow water. So if you’re using 30 percent oxygen, it’s 20 percent oxygen at my mouth. But by the time I get to 300 feet (91m) it’s only a couple of percentage points. For deep diving it’s more or less irrelevant, but for shallow diving it’s pretty important. Closed circuit units, which add oxygen directly to the loop, are more dangerous in some ways because they are more complicated, but they’re generally less dangerous in shallow water because they don’t have that particular oxygen problem. So CCRs are a more viable contender for shallow water diving. So, as individuals you’re exploring closed circuit diving to inform your decisions as an organization? That’s right. They’re taking classes, making dives, diving with others and gaining experience on different units. So our goal as an organization is to figure out, ultimately, if we want to condone rebreathers, how far down the chain are we going to condone them? Currently we allow only those divers who have completed our Tech 2 course, which is a pretty high level of proficiency, to dive the Halcyon rebreather. We’re considering lowering that but we’re doing it through careful and progressive experience and trials and trying to decide if we want to move in this direction, and if so, then exactly how we might do it. So for us, I think that you will see GUE very slowly migrate from providing rebreathers to individuals with a ‘very high’ level of expertise, to individuals with a ‘pretty high’ level of expertise. But it’s unlikely you’ll ever see us go any lower. DIVER MAGAZINE. MORE BOTTOM TIME. SUBSCRIBE TODAY. MM Ich finde es interessant, dass die Spitzenleute und Explorer unter den GUE Tauchern den Halcion scr RB80 bei Explorationen benutzen, diesen aber anders als andere Organisationen nicht in Ihrem Trainingsprogramm aktiv vermarkten oder propagieren. Tatsächlich, wenn man die GUE website anschaut, oder mit Leuten hier in der Organisation in Kalifornien spricht, muss man sich anstrengen, um zu realisieren, dass GUE sogar Rebreather-Training anbietet, allerdings nur Technischen Tauchern, die schon sehr erfahren im Bereich Open Circuit sind. JJ Ich würde sagen, Profitgier ist der primäre Motivator den Einsatz von Rebreather zu fördern. Hersteller von R. und Trainingsorganisationen versuchen damit ihre Profite zu steigern. Das ist irgendwie verständlich, aber ich denke, das ist nicht unsere Aufgabe bei GUE! Unsere Aufgabe ist es die Qualität von Ausbildung sicherzustellen und die Sicherheit der Taucher, die uns als Organisation ihr Leben anvertrauen. Das ist wahrhaft unsere Verantwortung. Es bedeutet nicht, dass ich denke, dass R. nicht sicher benutzt werden können, es bedeutet nur, dass wir einen sehr vorsichtigen Ansatz hinsichtlich von Dingen, die ein größeres Risiko beinhalten, bevorzugen. Beim Einsatz solcher Geräte müssen die Vor- und Nachteile sehr sorgfältig abgewogen werden. Unglücklicherweise ergibt sich oft kein Vorteil, wenn R. im Sporttauchbereich eingesetzt werden. MM Wir sprechen also über das Konzept das Risiko zu erhöhen, ohne (oder nur sehr geringe) Vorteile daraus zu ziehen, etwas, dass Du im DIVERMagazin unnützes Risiko im Hinblick auf die GUE/DIR-Standarts genannt hast. Du sagtest, das ist der Grund warum GUE nicht den Gebrauch von Nitrox oder Luft im Bereich jenseits der 30m befürwortet. JJ Der Sinn ist derselbe. Wenn ich der Otto-Normal-Taucher bin, die meisten meiner Tauchgänge im 15m Bereich liegen und ich 10 TG im Jahr mache, wofür zum Teufel brauch ich dann einen R.? Gar nicht, es ist nur eine teure Anschaffung, die mein Risiko erhöht. Dies jilt besonders für jemanden, der keum genug taucht, um mit einer normalen Tauchausrüstung sicher umgehen zu können. Meiner Meinung nach sind R. für diese Art von Tauchern gefährlich. Ich sehe es tatsächlich so, dass die absolut überwiegende Anzahl von Taucher R. gar nicht benötigt. Das gilt im Übrigen auch für viele meiner Tauchgänge. Ich besitze 4 R., aber wenn ich nach Ginnie Springs fahre, um dort eine Stunde zu tauchen, werde ich wohl kaum meinen R. mitnehmen. Warum? Weil ich ihn nicht brauche! Er hat keinen Wert für mich bei diesen Tauchgang. Dies erzeugt eine wirklich interessante psychologische Frage: Worin liegt der Nutzen etwas ohne Wert zu gebrauchen, welches das Risiko erhöht? MM Bei der OZTek Konferenz im Mai sagte Dr. Andrew Fock, Chef der hyperbaren medizinischen Abteilung des Alfred Krankenhauses in Melbourne, dass seine Einschätzung auf Basis aller vorliegenden Daten die sei, dass das Risiko, bezogen auf tödlich verlaufende Tauchunfälle, beim Gebrauch eines Rebreathers etwa zehnmal höher sei als das von OC. Mit anderen Worten: Wenn man mit einem Rebreather taucht hat man eine zehnfach höhere Wahrscheinlichkeit den Tauchgang nicht zu überleben. JJ Genau, denk darüber nach und frag Dich, was Du fühlen würdest, wenn Dein bester Freund oder Deine Ehefrau bei einem 10m Tauchgang umkommen würde. Du müsstest Dich fragen: Warum? Was ist passiert, macht das einen Sinn? Warum stirbt ein überaus erfahrener Typ wie Wes Skiles in 18m Wassertiefe? OK, höchstwahrscheinlich wird es eigentlich kein Rebreather-Problem gewesen sein, aber die Tatsache, dass ein sehr erfahrener Taucher (und leider ist Wes nicht der Einzige) während eines trivialen Tauchgangs ums Leben kommt, zwingt uns zu die Frage zu stellen: Macht das einen Sinn? MM PADI ist dabei Rebreather für den Sporttauchbereich zu bewerben. Wie Du weißt, hielten sie letztes Jahr auf der DEMA ein Treffen für alle Rebreather-Hersteller ab, um zu spezifizieren, wie ein Sport-Tauch-Rebreather auszusehen hat, die sogenannte Typ-R-Maschine, als Gegenstück zu den Typ-T-Maschinen für Tech-Taucher. Sie sind dabei, ein Trainings-Programm für Sporttaucher aufzulegen. Um sich zu qualifizieren muss der Taucher 25 TG, 10 davon mit Nitrox gelogt haben. Ausserdem bieten sie einen Rebreather-Kurs für Tech-Taucher an. Die Situation erscheint ganz unterschiedlich zu der im Jahr 2000, als PADI den Tech-Markt betrat, denn damals war es ein aufkeimender Markt. Zur Zeit gibt es keinen Markt für Sport-Tauch-Rebreather, PADI hofft einen zu kreieren. JJ Meine Einschätzung ist die, dass PADI merkt wie seine Umsätze schwinden, mit weniger neuen Brevets und steigenden Austrittszahlen und sie versuchen herauszubekommen wie sie ihre Infrastruktur weiter bezahlen können. Dementsprechend fragen sie nach dem Segment mit den größten Zuwachsraten und jeder erzählt ihnen es ist der Rebreather. Nunja, wenn da kein Markt ist für Sporttaucher, dann laß uns einenschaffen, wir sind groß genug es zu tun! MM Also gehen die Hersteller, mit von PADI gestärktem Rücken hin und stellen einen Typ_R Rebreather her. Es gibt zumindest schon einen und PAI Center und Ausbilder sind da, um die Sporttaucher in der Handhabung zu unterrichten. Andere Organisationen wie IANTD bieten ebenfalls einen Sportauch-Rebreather-Kurs an. JJ Aber grundsätzlich ist PADI dabei, diesen Markt zu schaffen und wird tausende von Tauchschülern mit dem Umgang einer Maschine vertraut machen, die nur sehr geringe Tauchzeiten erlaubt. Das ist meiner Meinung nach problematisch. Ich schätze die geschäftemacherischen Notwendigkeiten mehr als die meisten, aber sie rechtfertigen nicht diese Art von Risiko. Ausserdem zielen sie auf die Basis des Marktes, ich rede von den Tauchern, die versuchen den Regulator rückwärts in den Mund zu stecken… Das ist der Markt, auf den sie aus sind. Das ist ihre Zielgruppe von Tauchern. Ich lehne diese Art von Strategie strikt ab und denke, dass sie negative Einflüsse auf die ganze Tauchindustrie haben wird. MM Weil sie es riskieren Unschuldige ins Verderben zu führen? JJ Ich war immer ein Vertreter der Rechte des Einzelnen, sogar wenn ich dachte sie tun etwas verdammt Verrücktes. Aber ich glaube ganz fest daran, dass wir die Verantwortung haben, Leute, die es nicht besser wissen davor zu schützen. Und das gilt sowohl für Organisationen als auch einzelne Personen. Es ist die eine Sache etwas selbst zu tun, aber eine andere, es auch zu bewerben, denn dadurch übernimmt man Verantwortung und ich glaube, dass ist eine viel größere Verantwortung. MM Also propagierst Du Vorsicht? JJ Ja, ich denke wir als Organisationen und Hersteller müssen uns selbstkritisch hinterfragen und sagen: Also hier hat das alles hingeführt. Wir sind dabei diese Technologie an Leute zu bringen, die völlig überfordert sind einen Rebreather zu handhaben und wir bewerben es weil wir Geld damit machen können. Das ist es was mich beunruhigt, ich denke es ist unethisch! Natürlich bin ich nicht gegen die freie Marktwirtschaft, ich betreibe ein Wirtschaftsunternehmen und einen Tauchladen, ich bin dafür, dass man Profit machen kann und ich hätte jeden Grund Rebreather zu bewerben, da mein Unternehmen Rebreather verkauft. Aber in diesem Fall sehe ich interessante Parallelen zwischen den vergangenen Wirtschaftskrisen, die daraus resultierten, gewinnorientierte Unternehmen zu pushen, die durch Hypotheken finanziert waren und dem Hausieren gehen mit Rebreathern. Leuten etwas zu verkaufen, das sie sich nicht leisten können (entweder aus kostentechnischen oder sicherheitstechnischen Gründen) oder nicht verstehen, führt zu einem kurzfristigen Erfolg, kreiert aber auf lange Sicht ein unüberschaubares Risiko die ganze Branche zu vergiften. JJ Leider ja, das Problem ist eines der Verhältnismäßigkeit. (Hier wurde ein Satz ausgelassen, den ich nicht übersetzen konnte) Aber ich nehme eine strikte Haltung gegenüber der Ausrüstung von normalen Tauchern mit Rebreathern. Ich habe keinen Grund erfahrene und fähige Taucher davon abzuhalten, ihre eigenen Entscheidungen zu treffen. Diese Leute haben einen Erfahrungslevel erreicht, Erfahrung und Fähigkeiten, mit denen sie in der Lage sind, oder sein sollten, die Risiken selbst richtig einzuschätzen. MM Also wo ziehst Du die Linie? JJ Also der schwierigste Teil für uns als Organisation liegt darin herauszufinden, wo diese Grenze ist und das ist genau das, was wir machen. Und wir bewegen uns ganz langsam wegen Gesetz Nr.1: Die Aufgabe von GUE ist es die Sicherheit des Einzelnen zu unterstützen, nicht die Wirtschaft in Schwung zu bringen. Ein anderer Grund wieso es länger gedauert hat ist der, das die Rebreather-Industrie noch relativ jung ist. Es hat mehr als ein Jahrzehnt gedauert um die Rebreather zu entwickeln und ich wüde sagen die Top-Herstellersind jetzt legitme, solvente, fähige Organisationen, aber selbst diese Gesellschaften sind klein und verkaufen nicht mehr als ein paar hundert Einheiten im Jahr. Also ist es für uns nicht wichtig, dass sich nun jeder auf Rebreather stürzt. Es ist wichtiger für uns herauszubekommen wo diese Grenze gezogen werden kann. Ich möchte an der Spitze beginnen und mich dann langsam nach unten weiter vorarbeiten, denn ich denke es ist sicherer mit den Explorern zu beginnen. MM Also was speziell macht Ihr als Organisation? JJ Ich habe das Problem mit den Rebreathern in unseren halbjährlichen Treffen der letzten drei oder vier Jahre vorgebracht. Ich habe am Puls des Rates gehorscht, jeden gefragt wie er das sieht, was er gehört hat, was er fühlt und welche Fragen an ihn herangetragen werden und wir haben das Problem diskutiert. Ich habe ausserdem den Trainingsbeirat autorisiert mit CCRs zu tauchen, tatsächlich habe ich dies sogar unterstützt. Ich sagte: Seht, wir versuchen Lösungen zu finden für die Organisation und was wir tun müssen. Also ist es unsere Aufgabe eine internationale Grundlage zu schaffen und diese dazu zu benutzen, zu bestimmen, wie weit runter wir mit der Grenze gehen wollen. Das ist es, was wir alle machen. MM Wenn Du sagst CCR, dann redest Du von geschlossenen Systemen anstelle der halbgeschlossenen Rebreather, die die GUE-Explorer benutzen? JJ Korrekt, alle unserer Top-Leute haben schon den Halcyon halbgeschlossenen Rebreather benutzt, aber realistisch betrachtet ist der scr in seiner jetzigen form nicht als System fürs Sporttauchen geeignet, wegen dem systembedingten Sauerstoffabfall. Nur eine sehr erfahrene Person sollte ihn im Flachwasser benutzen. Ich würde nie jemand, der in sporttaucherischer Hinsicht im 10m-Bereich taucht mit einem scr losschicken, das macht einfach keinen Sinn! MM Erkläre bitte kurzwas Du mit Sauerstoffabfall meinst! JJ Nun ja, ein halbgeschlossnes System gibt Gas aus dem Atemkreislauf ab. Eine Einheit zum Beispiel mit einem 10:1 Verhältnis gibt ungefähr 10% von dem Gas bei jedem Atemzug an die Umgebung ab und führt frisches Gas zu. Also atmet der Taucher Gas aus dem Kreislauf mit dem Ergebnis, dass es einen Sauerstoffabfall gibt von dem, was dem System zugeführt wird in Verhältnis zu dem, was der Taucher atmet und dieser Abfall ist umso größer, je flacher man ist. Dieser Abfall entsteht mit der Zeit und hängt ab vom Atemminutenvolumen, dem abströmenden Gas aus dem Kreislauf und der Tiefe. Wenn man also 30% Sauerstoff benutzt, dann sind 20% an meinem Mund. In dem Moment, wo ich auf 90m bin ist es nur ein Bruchteil von Prozenten und mehr oder weniger irrelevant, aber bei flachen Tauchgängen ist es entscheidend. Geschlossene Systeme, die Sauerstoff direkt in den Kreislauf zuführen, sind in einiger hinsicht gefährlicher, da sie komplizierter sind, aber im Allgemeinen weniger gefährlich in flachem Wasser, denn sie haben nicht dieses spezielle Sauerstoffproblem. Dementsprechend sind CCRs im Flachwasser zu bevorzugen. MM Also untersucht ihr als Einzelne das CCR-Tauchen als Basis für die Entscheidungen Eurer Organisation. JJ Das ist richtig. Sie nehmen Unterricht, tauchen mit andern und gewinnen Erfahrung auf verschiedenen Einheiten. So ist unser Ziel als Organisation herauszufinden, ob wir Rebreather bevorzugen wollen du wie weit wir die Grenze derer die sie benutzen können absenken können. Momentan erlauben wir nur den Tauchern, die den Tech 2 Kurs absolviert haben, der ein ziemlich hohes Maß an Können voraussetzt, den Halcyon-Rebreather zu tauchen. Wir denken darüber nach, die Grenze herabzusetzen, aber wir werden im Rahmen unserer Erfahrungen sorgfältig abwägen, ob wir weiter in diese Richtung gehen wollen und wenn ja, dannwie genau wir das tun werden. Also für uns denke ich, dass sich GUE sehr langsam in Richtung Rebreather für Individuen mit einem sehr hohen Erfahrungslevel zu solchen mit einem ziemlich hohen Erfahrungslevel bewegen wird, aber es ist sehr unwahrscheinlich, dass wir das Einstiegsniveau noch weiter absenken. cave diving) is the latest trend in cave diving. planning logic and actions of some newer divers. ones’ personal abilities both in the water and in a cave. enhanced by adding a CCR to the toolbox? Are deep, and/or remote caves a part of your usual diving? CCR cave diving is not for you. most of their dives are very deep or very long (or both). Dies ist Bericht des australischen Fernsehens über Ag. Short documentation of the Australian TV about Ag. Unten findet Ihr den link zu einem kurzen Video von Jill Heinerth, von ihrer Expedition nach Acklins, die ein Teil der Bahamas sind. Expeditionsleiter war Mark Laucien, die andern Mitglieder Brian Kakuk and Ian Burry. Auf diesem Trip entdeckten sie zwölf neue Höhlen und legten fast drei Kilometer neue Leine! This was an expedition led by Mark Laucien to the Acklins, which are part of the Bahamas. The other members of the team were Jill Heinerth who took this great video, Brian Kakuk and Ian Burry. They found 12 virgin caves and laid 8000ft of line! Brian will give a detailed report this weekend at the NSS-CDS conference this weekend in Marianna.